Last weekend we doubled our fleet of S&DJR locomotives, in Prussian Blue, to four when we acquired a Fowler 3F 0-6-0 'Jinty' and a Fowler 4F 0-6-0, both by Bachmann. Therefore, I thought I would feature all four of these handsome locomotives in the blog. 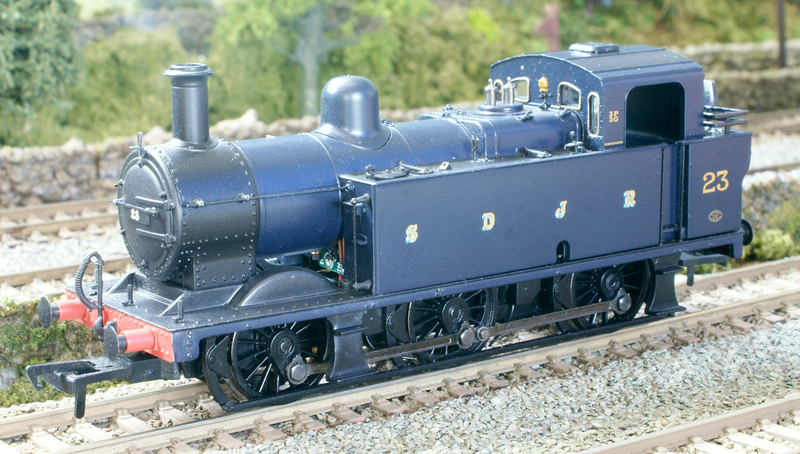 First up is the 'Jinty', Nº 23, which has been DCC fitted and runs very well indeed. It currently does not have sound but that will be added in the future. The Catalogue Nº is 32-233 and the loco dates from 2013. Next is the Hornby Class 2P 4-4-0, Nº 44, Catalogue Nº R2217. We acquired this loco a few months ago and she is yet to be fitted with DCC. Compared to the Bachmann locos here, she is very light but is a lovely looking locomotive and one that complements the others very well. 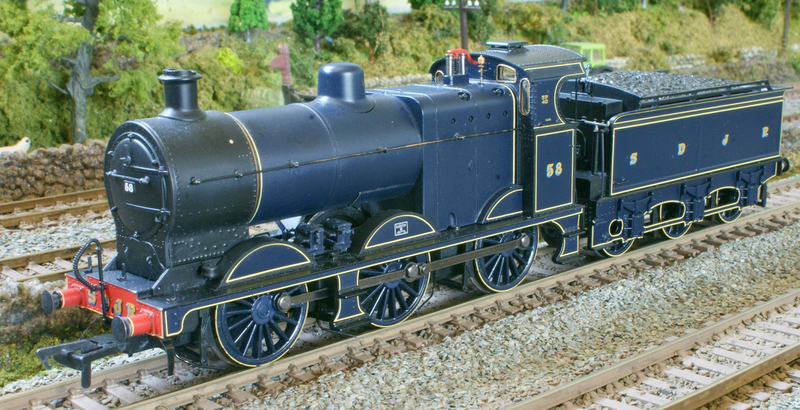 Now we have the Bachmann 4F 0-6-0, Nº 58, Catalogue Nº 31-880K. This is a very special loco since it was produced in 2013 for the Bachmann Collector's Club and is quite difficult to find now. She is fitted with DCC and, like the Jinty, runs extremely well. She, too, will have sound fitted in due course. Finally we have the Bachmann 7F 2-8-0 Nº 88, Catalogue Nº 20-2012, which also dates from 2013. This is the only loco here to be fitted with sound (Howes, of course) and she also has non-working lamps fitted, in the S&D passenger train configuration. The cab detailing, on both the 4F and 7F, is quite stunning and the coal, in the 4F tender, is die-cast metal, which provides the loco with a good deal of weight that, in turn, gives her a bit more pulling power.